Much has been written about the awesome benefits of adding coconut oil to your diet/food regimen. How it provides the body with enough energy because of the good fats it's loaded with. How it helps the body to fight micro-organisms like bacteria that cause diseases. And how, compared to other edible oils, it is excellent for cooking, but in my opinion, not much is being said about the boatload of benefits coconut oil for skin. Coconut oil is a wonder of nature. It serves as a natural means to eliminate diverse skin issues. 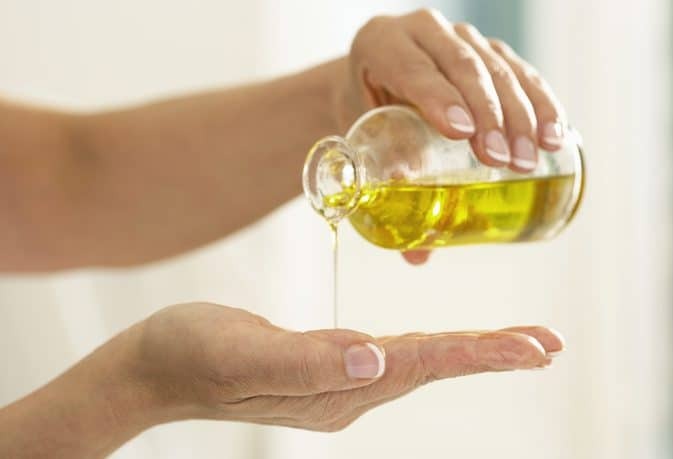 Many health practitioners now advocate the use of natural oil and products to fight skin diseases. The reason being that a lot of over-the-counter skin care products usually contain toxic ingredients which may have a harmful effect on the skin you are trying to protect. Another reason people prefer natural substances like coconut oil is that, compared to these chemical products, they're more affordable. And coconut oil penetrates the skin deeper than your average skin product due to its low molecular weight. It also bonds with protein easily. If you think the products you have been using have not been doing justice to your skin, or you are tired of the number of chemicals you apply on your skin daily to make them beautiful, then you may want to read through this comprehensive post on the benefits of coconut oil on the skin. Applying the tips written here will no doubt improve the overall health of your skin. But first, let’s look at things that give coconut oil its awesome properties. One way coconut oil helps the skin when applied directly is through moisture retention. It helps the skin retain its moisture content by the direct action of its constituting fatty acid or triglycerides. The fatty acids stop moisture loss that usually takes place through skin pores. That is why when you apply coconut oil to the skin, it’s always smooth to the touch. There are other classes of fatty acids that are worthy of mention here because they have distinct functions and also contributes greatly to the immense value of coconut oil. They are Capric, Caprylic, and Lauric acids. These three are what gives coconut oil its disinfectant and antimicrobial properties. They prevent infection from getting into open wounds or entering the skin pore when coconut oil is applied on the skin. The good thing is that this antimicrobial action is also enjoyed when coconut oil is taken orally. The body converts the fatty acids to monocaprin and monolaurin which fortify the body’s immunity. The Capric, Caprylic and Lauric acids also contribute to the positive health of the skin indirectly. Because they are easily broken down chains of fats, they can boost the energy levels greatly. For those people working out, this is linked to weight loss, which in turn is another important way to improve the quality of the skin. Coconuts are widely rich in proteins, therefore, regular intake and usage will afford your body all the goodness that proteins bring. 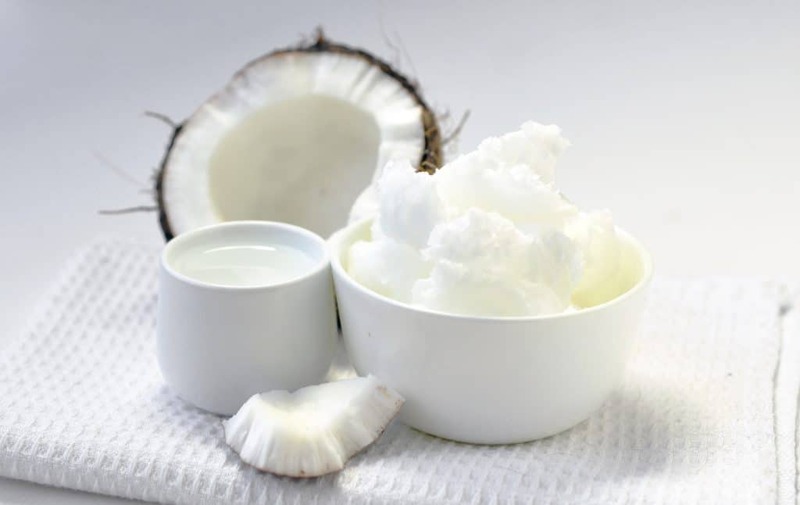 Coconut oil is used as homemade skin butter in conjunction with shea butter and jojoba oil. You can also add your favorite essential oil to this combination to form a potent skin-moisturizing mixture. A few weeks use of this will rejuvenate your skin, making it smooth and even-toned. Has your dry skin has been giving you concern lately? Then try coconut oil. It has been widely acknowledged as one of the best remedies for dry skin. You use it as if you're using body lotion. But make sure you rub it very well in the palm of your hands to warm it up before application. Babies too are not left out in enjoying the awesome benefits of coconut oil as a skin treatment. Diaper rash, those itchy and painfully red skin formations usually caused by diapers can be treated with coconut oil. In fact, regular application of coconut oil does protect baby skin from developing skin rashes. Everybody wants their face to look vibrant and appealing. That’s why thousands of dollars are spent annually on specialized products like face wash, face oils, face creams, and lotions. Coconut oil has been proven to incapacitate the bacteria that lives on the skin and causes conditions like pimples and acne. A problem with chemical-based deodorants is that they don’t work for all skin types. For some people, they can cause irritation and discomfort. A highly effective alternative is using coconut oil as a homemade deodorant. This is healthier, compared to popular brands, and will work the same way to make you smell great. Do away with all those toxic insect repellent products you have been using. Make your own insect fighting mixture with coconut oil mixed with other essential oils, although you’ll need to apply at interval throughout the day. But you should know that this is safer and healthier than the laboratory-produced insect repellants. Making coconut oil into a lip balm will save you a handful of hassles – the chief being accidentally ingesting one of the toxins that are used in the production of many lip balms that are in the market today. To cure your cracked lips and be safe while doing it, use coconut oil as a lip balm. You don’t need to use expensive oils before you can enjoy the awesome benefits of a deep massage. Coconut oil, mixed with essential oil, will also get the job done. The mixture will relieve your sore muscles and make sure you enjoy your meditation. It is a well-known fact that the skin loses moisture during sleep. And if you sleep in a dry or overheated room then it’s most likely that you’re waking up each day with a dehydrated skin. You can call on the ever-dependable help of the coconut oil to give your skin a new lease of life. For those with acne problems or oily skin, they only need to add a small amount to their normal moisturizer to make sure their skin retains moisture during sleep. There are many benefits of coconut oil for hair and scalp. It works well as a hair conditioner, even for children. For the best results, you can either use it the way you use a leave-in conditioner or use it overnight as an intensive conditioner. Regularly massaging coconut oil into your scalp will improve blood circulation and promote hair growth. From time immemorial, people in tropical regions of the world have been using coconut oil to fight dandruff. The antimicrobial, antiviral and antifungal properties in the medium-chain fatty acids that make up coconut oil ensure death to the fungus, virus and bacteria in dandruff. And you don’t have to worry about the harmful chemicals like selenium sulfide and magnesium aluminum silicate that are abundant in your typical dandruff shampoo. For good result, you may need to add dandruff-fighting essential oils like wintergreen, lavender and thyme to coconut oil. Coconut oil is also an awesome hair styling agent. It prevents thermal damage to hair and penetrates curls to make styling easy. And if you think that’s all about coconut oil benefits to the hair then you’re mistaken. In a study cited by the European Journal of Pediatrics, coconut oil in combination with anise spray, is found to be twice more effective in lice treatment than permethrin, the usual lice prescription in many countries. People all over the world have been using coconut oil orally or topically to tackle diverse skin problems. Here, we attempt to list the most common skin ailments that coconut oil is often used to treat. Some stretch marks do occur through severe trauma to the skin during accidents. How does coconut oil help the skin eliminate stretch marks? This can happen in two forms: first as a preventive measure and secondly, to reduce the occurrence and visibility. To prevent stretch marks from ever appearing on a particular area of the body, form a habit of regularly rubbing in coconut oil most especially after a shower. The wetness of the skin improves the oil absorption. Many people use coconut oil as a natural prevention against sunburn. But you must note that on its own, coconut oil alone cannot prevent sunburn. Generally, to protect against sunburn, health authorities prescribe a sunscreen with at least SPF of 30. Research has put the SPF in coconut oil to between 4 and 7. So, it’s advisable to combine coconut oil with other ingredients like raspberry seed extra and zinc oxide that has been touted as sunscreen if you’ll be spending considerable time in the sun. For those suffering from sunburn, coconut oil can play a vital role in how soon the sunburn heals. This is because it is high in saturated fats like lauric acid which has been proven to have antibacterial properties. This means that coconut oil will help prevent infection to sunburn. Studies have also shown that anti-inflammatory and analgesic properties are abundant in coconut oil, abilities that will prove very useful in the treatment of sunburn. Eczema is far from a life-threatening disease but the discomfort it brings upon humans especially young people can lead to a low quality of life, not to talk about the social ostracism it can lead to if it becomes infected with bacteria and fungi. Coconut oil works on eczema in many different ways, first as a moisturizing agent. Water-based moisturizers are completely useless against eczema. Petroleum-based products do little, only stopping water from escaping from the skin. Coconut oil is widely acknowledged as a superb skin moisturizer. It is easily absorbed into the skin. It lessens irritation and keeps the skin from breaking up by its softening action. Because coconut oil is easily absorbed into the skin, the constituting fatty acids are quickly put to use by the body to nourish the connective tissues. As a direct result, affected skin becomes supple. Coconut oil has long been used by tropical people to relieve itching caused by insect bites. It works perfectly for the itching brought about by eczema too. Many people spend a lot of money annually to keep their lips healthy. There are many premium lip products in stores all over claiming to be the best product you need for your lips. But you should know that coconut oil, a natural, easily-sourced ingredient can do wonders for the lips with an added advantage that you don’t need to worry about swallowing toxic ingredients. This is a real possibility when using chemical based products. It moisturizes the skin of the lips making it look soft and supple. It has antifungal and antibacterial abilities to deal with occasional bacterial growth within the cracks of the lips. The SPF present in coconut oil will prevent sun rays from harming your lips. To use, dab a small amount of coconut oil on your lips occasionally throughout the day. For the maximum benefit for your lips, mix with honey and olive oil. “Coconut oil for acne? Are you in your right mind?” Yes, it's not a lie, treating acne with coconut oil is possible. 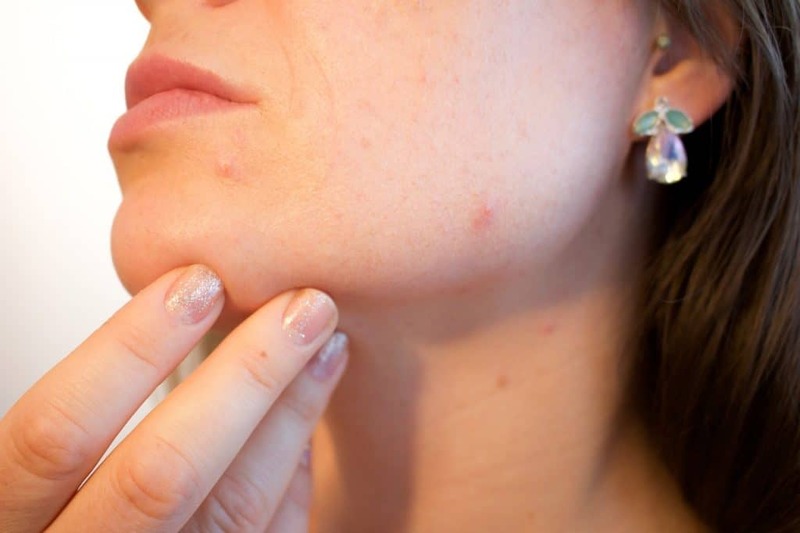 Many people easily associate acne with oily foods. Whenever you suggest to an acne sufferer to try coconut oil, their first reaction is to look at you as if you are insane. Truly, oil plays a major role in the breakout of acne. But unlike those common oils on your kitchen shelf, coconut oil is no ordinary kind of oil. It comes filled with medium chain fatty acids. Fatty acids like lauric and caprylic acids have huge antibacterial and antifungal properties that help the body fight all manner of microbial organisms. Since an acne infestation usually has underlying causes, these medium chain fatty acids are the body best weapon to fight back. So regular intake of coconut oil can actually help you get rid of your acne problem. As ridiculous as this may sound, coconut oil can also be used on the skin externally to fight acne. It can be included in the current toning and moisturizing regimen for your face. It will employ the same antimicrobial properties it uses inside the body to fight the acnes present on your skin too. Just make sure you don’t apply too much and too often. Psoriasis is a common genetic skin disease whereby scaly patches may appear on some parts of the skin, especially the elbow, knee, and scalp areas. Massaging coconut oil into your scalp plaques will help in removing the plaques and softening the scalp. A lot of factors can contribute to the dryness of the hands. Some are constant exposure to dry air, excessive washing of the hands, dehydration, hereditary factors and medication side effects. Coconut oil will give your hands the desired softness and suppleness. Simply, rub it all over the hands at intervals. Cold sores are highly contagious, sometimes reddish clusters of blisters that usually form around the lips. Coconut oil can assist in speeding up the healing time. Regular dabbing of coconut oil will also lessen the pain and prevent discoloration of the affected area. As earlier mentioned, coconut oil is an excellent diaper rash guard. If your baby is already suffering from the effect of this itchy and painful condition brought about by diaper use, then the moisturizing, antibacterial and soothing properties of coconut oil will work together to give instant relief. Coconut oil is truly an amazing substance. With so many uses both internal and external, you should always keep some in your pantry. Now that you know the benefits of coconut oil for skin there is no excuse not to use this natural substance.